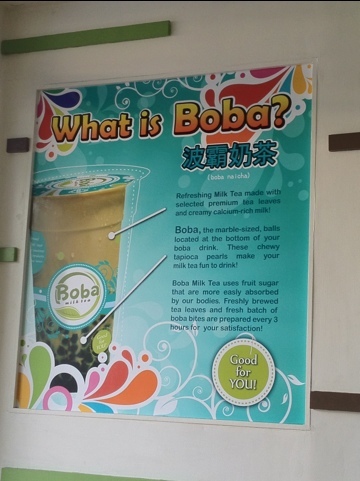 Tried out Boba Milk Tea today. They boast of brewing fresh tea leaves and preparing fresh Boba bites every 3 hours. 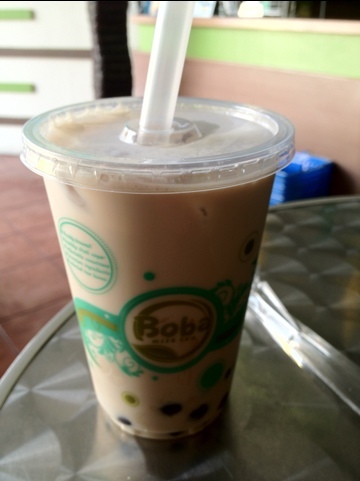 I tried the super classic Boba which was refreshingly good. The server mistakenly served me Assam based tea when I specifically mentioned I was allergic to it. Good thing though was he quickly changed it to Earl Grey Tea base. I like the milk it came with. Wasn’t sure what it was though or what they used but it was good. The place didn’t have quite the ambiance of other tea places as it was located inside the convenience store. Nonetheless, their tea is worth trying. I like it better than moon leaf’s teas.